Business architecture is a maturing discipline and drawing significant interest from a variety of organizations worldwide. It serves as a bridge between strategy and execution, making activities such as business transformation, enterprise planning, portfolio management, and mergers and acquisitions more strategic and effective. This whitepaper provides a brief introduction to business architecture, describes and dispels twelve commonly held misconceptions or myths, and gives a glimpse of the future. 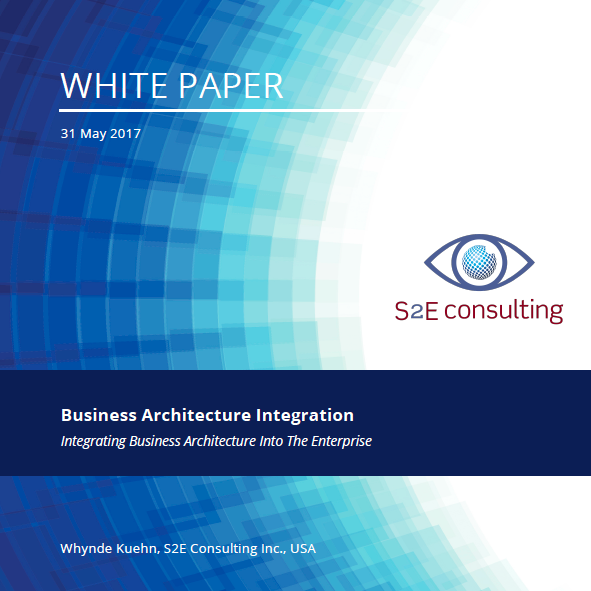 A Business Architecture Guild white paper for which Whynde Kuehn, S2E Founder, was a co-author. 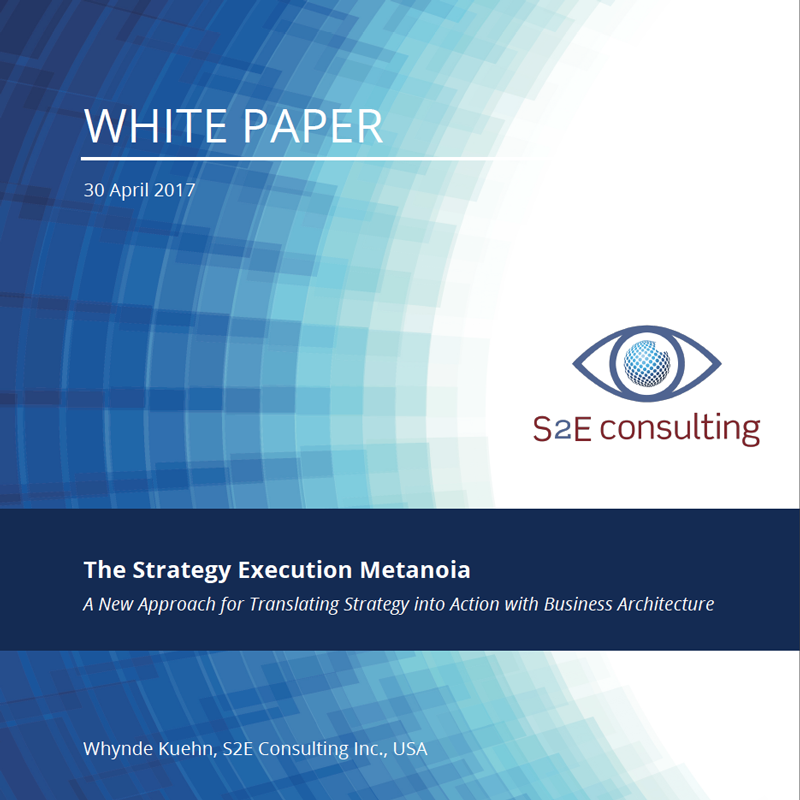 This foundational white paper establishes the relationship between business architecture and customer experience. Forthcoming papers will explore this relationship in more depth. More than just a bullet point in a strategy session or the current buzzword, digital transformation begins with big visions and strategies, but the organizations that can execute upon them in a coordinated way, with agility, will win. S2E Principal, Whynde Kuehn, served as guest editor for the August/September double-issue of Cutter IT Journal, focused on business-driven digital transformation. Kuehn’s introduction provides an overview of how to approach digital transformation from a truly top-down, business-driven perspective and sets the tone for the Journal. 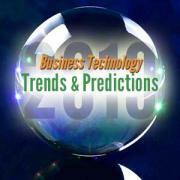 An unabridged, complimentary copy of the Cutter Business Technology Journal may be accessed from the Cutter site. 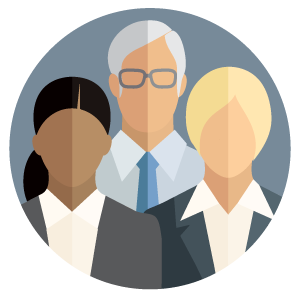 In this Executive Update (available to Cutter members only), business architecture practitioners are offered a clear vision of what a fully mature business architecture practice looks like, the value it brings to the organization, and a practical perspective on how to get there. A reprint of Chapter 2, Part 1 of the book, Business and Dynamic Change: The Arrival of Business Architecture, Published by Future Strategies, Inc. Copyright © 2015 William M. Ulrich and Whynde Kuehn (Revised January 2019).